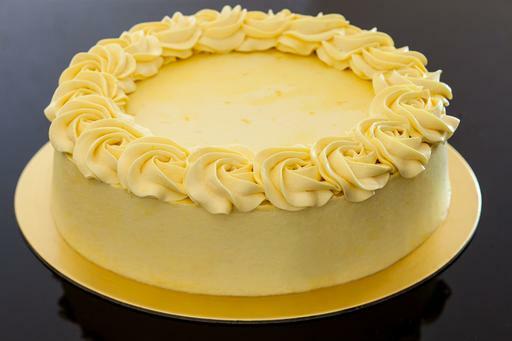 Made with luscious lemon curd and silky buttercream, this lemon cake is beautifully light and zesty. Frosted with only a single border on the top (not covered completely with roses). Available as a 9-inch cake.